Louis Zamperini’s life story reads like a Hollywood script. If you didn’t know it was a true story, you would guess it was a modern day fable. Readers around the world have been amazed and inspired by his story chronicled in Laura Hillenbrand’s bestselling book Unbroken. It’s no surprise that there are now two feature films depicting his extraordinary life. Zamperini’s brother encouraged him to pour his energy into something good. He finally understood that he was heading down the wrong path and decided to run track. 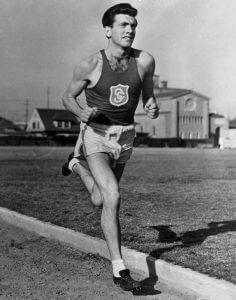 Quickly realizing he was good at it, Zamperini held the interscholastic record for the mile run before finishing High School. In 1936, Zamperini made the U.S. Olympic Team and competed in Berlin. His running style and fast finish made such an impression on the Germans that Adolf Hitler asked to meet him. And though he didn’t medal in his event, Zamperini was predicted to be a top contender for the 1940 Olympics in Finland. But like so many in his generation, his life was interrupted by another world war. His plane would crash in the Pacific Ocean, leaving him to survive on a raft for a month and a half, fending off sharks, hunger, and thirst—Zamperini was barely clinging to life. It was in that emaciated state that he was “rescued” and came face-to-face with one of the true horrors of World War II—a cruel and skillful torturer known as “The Bird.” Lesser men would have broken quickly, and most did. 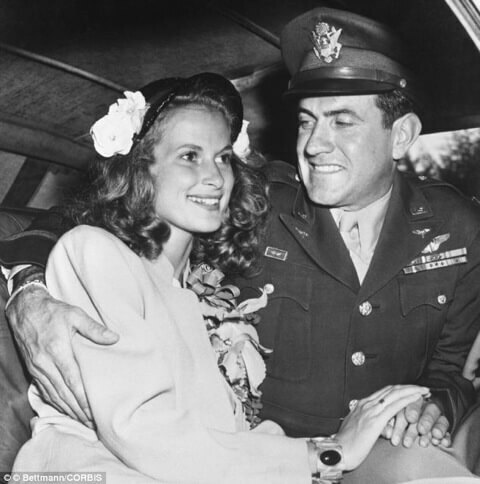 But Louis Zamperini outlasted his torturer and was able to come home when the war was over. 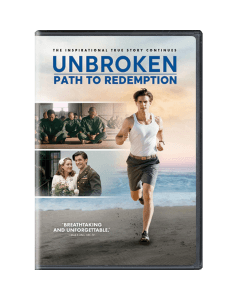 Only upon returning home did Zamperini realize just how broken he truly was. Nightmares brought on by post-traumatic stress began deteriorating his relationship with his wife and family. For him and his family, World War II wasn’t really over. He was barely holding it together until he attended the 1949 Billy Graham crusade in Los Angeles where he became a born-again follower of Christ. It was only there that this unbroken hero finally acknowledged he was a broken sinner in need of a savior. Miraculously, the nightmares stopped and Louis was transformed. From then on he centered his life on Christ and never looked back. God used him in mighty ways to share the gospel with the world. He spoke at Christian camps and churches, but he was often heard on network television and radio proclaiming the freedom he found in Jesus. 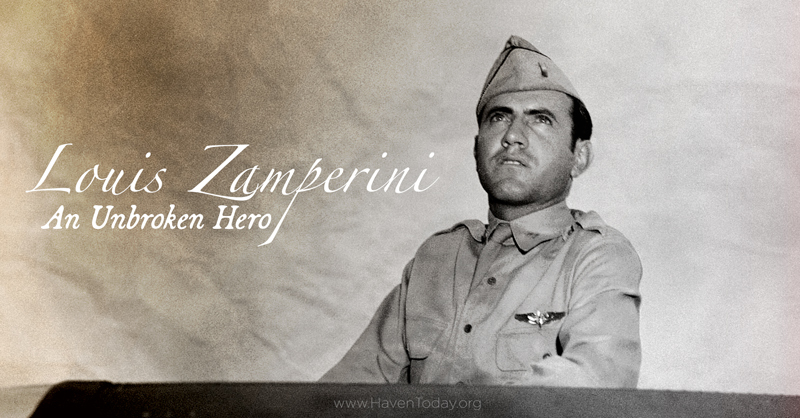 In fact, Zamperini was a guest on the original Haven of Rest in 1949 before we had him back on the program in 2011, shortly after the initial release of Unbroken. No matter what you asked him, he would always give you an answer that led to Jesus. Charles Morris sat down with Louis at his home in Los Angeles and had a wonderful visit. Here is a short video from that meeting.